Bruce Elkind has been practicing since 1984, with obvious knowledge and experience while keeping up with all the new technology. Bruce Elkind’s office was the 2nd dentist in Royal Palm Beach, Florida. To find a family dentist in Royal Palm Beach may seem like a daunting task, but one stop at Dr. Bruce Elkind’s office will have your mind at ease. At our practice, we believe in a comprehensive approach to dentistry. We understand that it’s important for your smile to be healthy, to feel great, and to look great, and we are dedicated to working with you as your partner to learn your specific goals and then help you meet them. Dr. Elkind is also an accomplished cosmetic dentist in Royal Palm Beach, and can work with you to improve the aesthetics of your smile with treatments like teeth whitening. If you are having an emergency, like a crack or chipped tooth, call Dr. Elkind, your emergency dentist, with your Emergency today and we will get you in as soon as possible. Ask About Our In-Office Discount Plan! Including 25% off all services! Combine the Discount Plan with your Insurance! 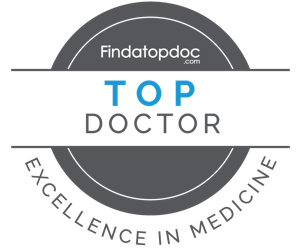 Click HERE to view our letter from The Leading Physicians of the World.